Sa‘d Zaghlūl was born in Ibyāna village under the jurisdiction of Fuwwah –in the former Gharbiyya Governorate– (today, Meṭawbas in the Kafr al-Sheikh Governorate). He was born in June 1860 according to his Law Degree certificate, while other sources state that he was born in July 1857. His father –the village’s Sheikh al-balad, i.e. the ‘umda (mayor)’s second– died while Sa‘d was not yet five, and Sa‘d grew up an orphan. He studied at the village’s kuttāb then moved to Cairo in 1873 where he joined the University of Al-Azhar and learned Kuran reciting under Sayyid Jamāl al-Dīn al-Afghānī and Sheikh Muḥammad ‘Abduh. After graduating, he worked with Jamāl al-Dīn al-Afghānī at the Egyptian Affairs, then as assistant at the Internal Affairs. He was soon forced to leave this last post because of the failure of ‘Urābī’s revolution that he had participated in. Sa‘d left the Public Service and joined the Private Sector as lawyer, but was soon accused of collaborating with the “Jam‘iyyat al-Intiqām” (revenge group) and arrested in 1883. 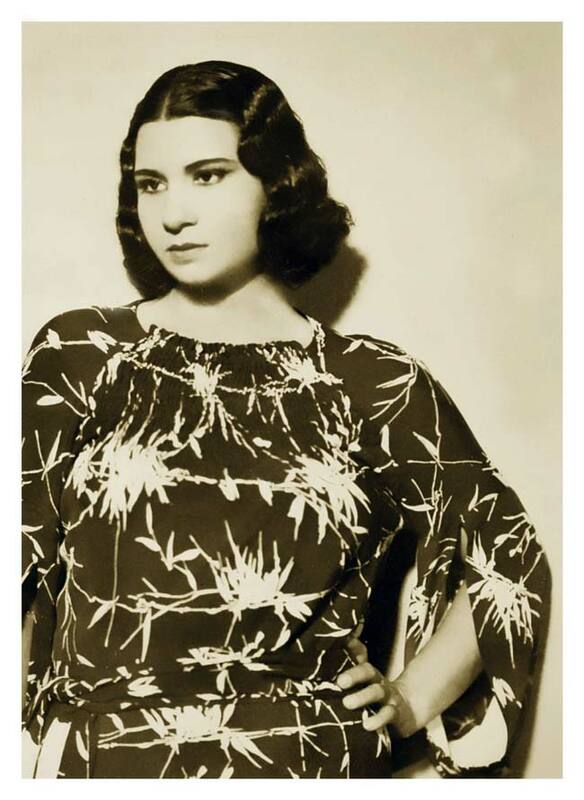 He was released three months later and resumed his work as a lawyer then joined the Friends of the British Egyptian Center where he learned English and French. Sa‘d Zaghlūl married the daughter of Muṣṭafa Fahmī Bāshā –Prime Minister– and joined again the Public Service as Deputy Attorney then rose to the position of Attorney General. This rank earned him the title of Bēh: he was now Sa‘d Bēh Zaghlul. The highest rank he could have reached without a Law degree was Vice-Judge, yet he was appointed Vice-Judge in 1892 before obtaining his Law degree in 1897. Sa‘d Zaghlūl joined the Manār, a Political Reform Organization whose members included Al-Azharī students, members who had studied abroad, and a significant number of Egyptian intellectuals. One of his goals was to spread education in Egypt and establish an Egyptian University, and he was able to set it up and open it in 1908 with the help of his comrades. This did not keep him away from Public Service where he climbed ranks, becoming Judge then President of the Court –Judge at the Court of Appeal. In 1906, he became Inspector at the Ma‘ārif then at the Ḥaqqāniyya, i.e. Minister of Education then Minister of Justice. He was granted the title of Bāshā: he was then Sa‘d Bāshā Zaghlūl. 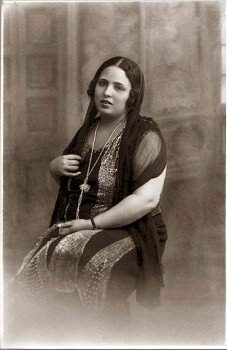 Sa‘d participated in establishing the Al-Ahlī club in 1907 and became its President. He was later appointed Vice-President of the Legislative Assembly, then its representative, and led the opposition movement that formed the nucleus of the Egyptian Delegation at the end of the Great War, i.e. World War 1. 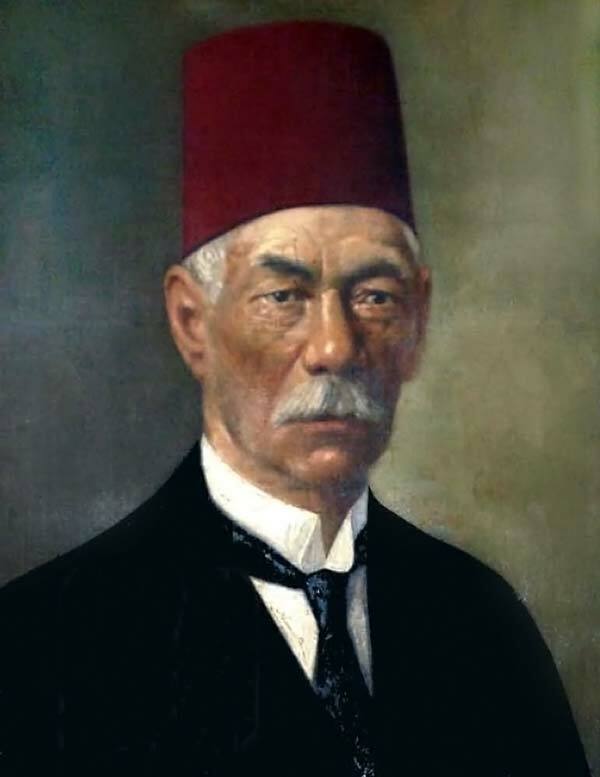 This leadership earned him the support of the Egyptian masses who in majority were against the British Protectorate and its alliance with the Egyptian authorities, as well as against the support of the government and Sultan Ḥusayn of the British in their war against the Ottoman Empire. 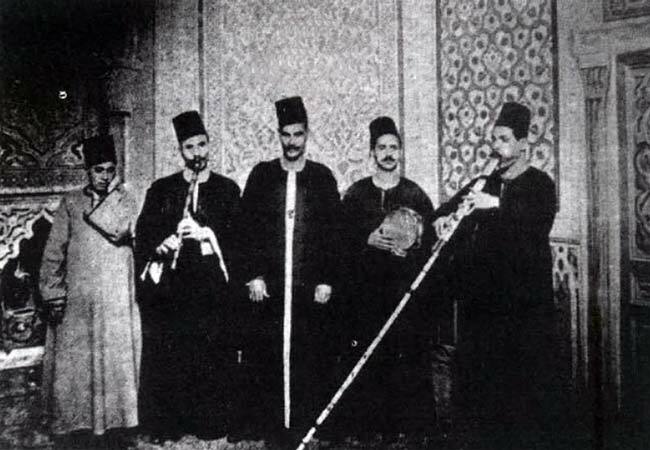 These circumstances influenced singing: songs were written and composed for the prospective leader of the National Party, Khalīfa Muṣṭafa Kāmil and Muḥammad Farīd. Yet in the beginning, the allusions were symbolic. We will now listen to Sayyida Na‘īma al-Maṣriyya singing ṭaqṭūqa “Yā balaḥ Zaghlūl” written by Sheikh Yūnis al-Qādī and composed by Sheikh Sayyid Darwīsh. 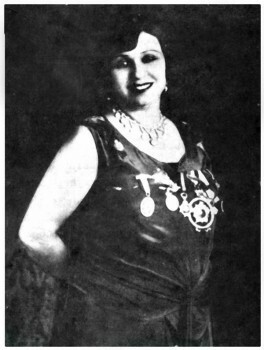 It was recorded around 1917 –during the Great War– by the national record company Meshian on two sides of a 27cm record, # 687 1 and 2. It is an homage to Sa‘d Zaghlūl through the praise of Zaghlūl dates, a type of dates that grows in Egypt. Small in size and cheap, they are within the reach of each and everyone who can either buy them or pick them from palm trees. The lyrics praise the local product, describing it as the country’s wealth. Sitt Na‘īma presents the work as a recorded dawr, in the form of a ṭaqṭūqa… It seems that the categorization of forms was not very clear and that each song in dialectical Arabic was said to be a dawr. Also note the confusion in the conclusion on the record, maybe because Sitt Na‘īma al-Maṣriyya was new to singing and was not used to recording, a new concept at the time. Let us listen to Sayyida Na‘īma al-Maṣriyya singing ṭaqṭūqa “Yā balaḥ Zaghlūl” composed to the jahārkāh maqām. After the Great War, Sa‘d Zaghlūl and his comrades including ‘Abd al-‘Azīz Fahmī and ‘Ali Sha‘rāwī decided to form a Delegation to attend the Paris Peace Conference demanding to free Egypt from the British Protectorate and recognize its independence. They gathered authorization certificates in order to make this Delegation official. But the British authority arrested Sa‘d and his comrades and exiled them to Malta on March 8th 1919. This ignited the Egyptian people’s revolution known as the Egyptian Revolution of 1919. We will discuss it separately in a future episode. The revolution succeeded in bringing Sa‘d and his comrades back to Egypt, and the Delegation –the Wafd presided by Sa‘d– went to represent Egypt in the Paris Peace Conference. But they failed to convince the participants to give Egypt its independence. Delegation became the official representative of the Egyptian people and the Egyptian Revolution. Even though Sa‘d and his comrades’ had failed in their mission, poems were written and songs were composed in their honor when they returned from the Conference. We will listen to Sayyida Munīra singing ṭaqṭūqa “Zaghlūl sharraf”. An unconfirmed source states that it was written by Yūnis al-Qādī and composed by Muḥammad al-Qassabjī. 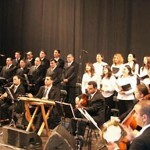 Many songs, including those recorded before this work, clearly called for independence. But this specific song chose symbolism, while Zaghlūl’s name was mentioned in a quasi-clear manner. We could have podcasted any of the known songs related to our subject, but we try to podcast the rare and unveil the unknown. Let us listen to Sayyida Munīra singing ṭaqṭūqa “Zaghlūl sharraf” composed to the ṣabā maqām. The recording was made in 1921 by Baidaphon on two sides of a 27cm record, # B-082575, B-082576. Because of the revolution and because the Egyptian were boycotting English products following Sa‘d’s request, he was arrested again by the British and exiled to the Seychelles in the Indian Ocean. 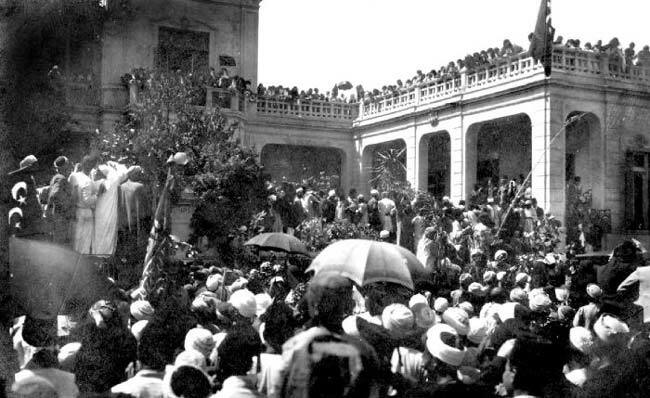 The British Authority made the Declaration of February 28th 1922 that transformed the British Protectorate in Egypt into a Mandate, and the Sultan became King. This declaration did not affect the Egyptian Revolution, and the British were forced to bring Sa‘d back to Egypt in September 1923. He formed the Wafd Party that entered the Parliament elections and won, then formed the government –presided by Sa‘d Bāshā Zaghlūl– that wrote the Constitution in 1923. Many chanted on this occasion, and numerous were those who saw it as an agreement between the Egyptian people and their King. Sa‘d did not last long in the government because, following the assassination of Sir Lee Stack –British Commander in Chief of the Egyptian Army in Sudan–, the British Authority imposed submissive demands on Sa‘d’s government through Sir Allenby, High Commissioner of Egypt. King Fu’ād dissolved the Wafd Parliament that rejected this decree and insisted on Sa‘d as Prime Minister. Yet Sa‘d did resign following a military manifestation of the British Navy on the coast of Alexandria in an attempt to warn against a nakba resembling the nakba (catastrophe) of 1882 when the British Forces invaded Egypt and defeated ‘Urābī’s forces. 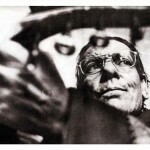 Subsequently, Sa‘d left the political scene and lived in quasi-seclusion from then –i.e. from around November 1924– until he died on August 23rd 1927. Sa‘d Zaghlūl died while the Egyptian government was opposed to the Wafd party, yet the nation paid its last respects to Za‘īm al-Umma (the Leader of the Nation) in a majestic and solemn funerals ceremony. He was elegized by all the poets and the most famous singers, notably in qaṣīda “Dhikra Sa‘d” written by Rāmī, composed by Al-Qaṣṣabjī, and sang by Umm Kulthūm in 1928. We will be listening to Ḥajja Zaynab al-Manṣūriyya singing another elegy, in the form of two interconnected mawāwīl, each one recorded on one side of a 27cm record. The first label carries the title “Yā Maṣr mālik ḥazīna” and the second one carries the title “Yā maṣr ibkī ‘ala Sa‘d” composed to the rāst maqām. The recording was made during summer 1927 by Polyphon, order # V 43483 R, V 43484 R, matrix # 6271 AR, 6272 AR. We have reached the end of today’s episode of “Min al-Tārīkh”. We will meet again to discuss another historical figure or historical event.